If you have diabetes mellitus, there are many important reasons to follow your doctor’s orders about diet and blood sugar control. One of those reasons: avoiding cataracts. People with diabetes are more likely to develop vision-stealing cataracts compared to non-diabetics. 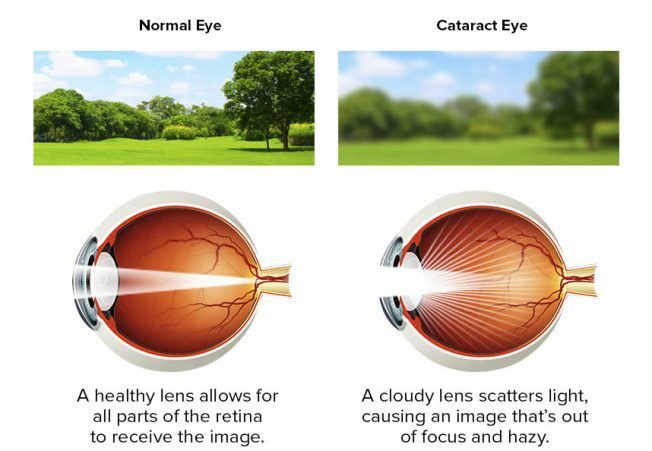 Cataract is a condition where the eye’s naturally clear lens becomes cloudy, or opaque. Light doesn’t pass through the lens as it should and isn’t properly reflected onto the retina (the light-sensitive tissue lining the back of the eye). As a result, vision becomes cloudy, distorted or blurry. 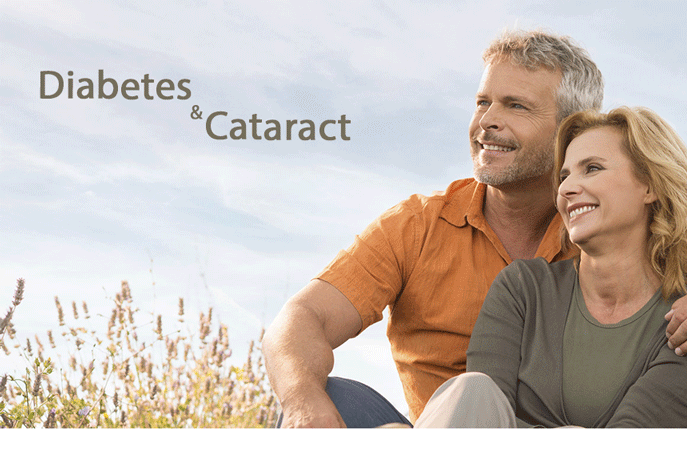 So how does diabetes lead to cataract? It’s all about the sugar—or glucose. The eye’s lens gets its nutrients from aqueous humor, fluid filling the front portion of the eye. Aqueous humor provides oxygen and glucose, a simple sugar energy source for the body’s cells. When you don’t have good control over your glucose levels (as with unchecked diabetes), sugar levels rise in the aqueous humor and in the lens. High levels of glucose in the lens cause it to swell, affecting clarity of vision. The lens also has an enzyme that converts glucose to a substance called sorbitol. 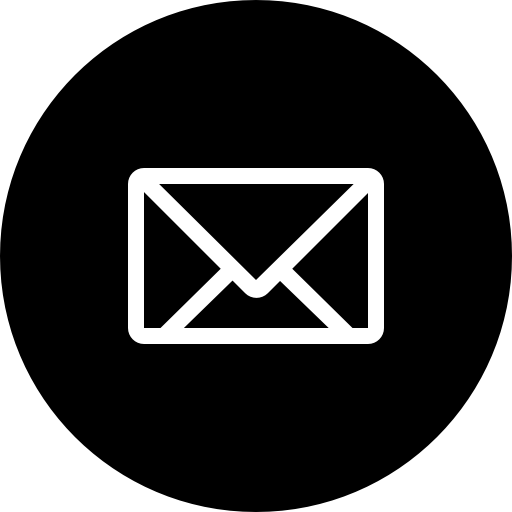 When sorbitol collects in the lens, it can affect cells and naturally-occurring proteins, causing the lens to become less clear and more opaque. This condition eventually leads to cataract formation, making the world around you appear blurry, yellowish or faded, and increasing glare. If you have diabetes, there are two very important steps you can take to prevent or delay cataracts. 1. Keep your blood sugar consistently well-controlled: Work closely with your doctor to maintain good blood glucose levels. Having the right glucose levels can help to keep the eye’s lenses clear and healthy. 2. 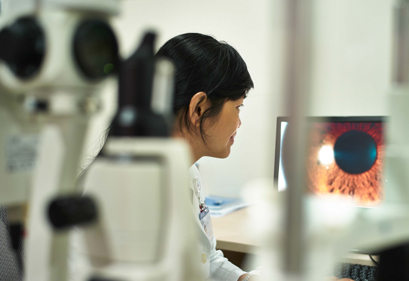 Have your eyes examined regularly by an ophthalmologist: An ophthalmologist can detect and recommend treatment for problematic changes in your eye long before you become aware of any symptoms. Keep an eye on your health, and don’t let diabetes steal your vision.